Say hello to the cast of Frutorious! 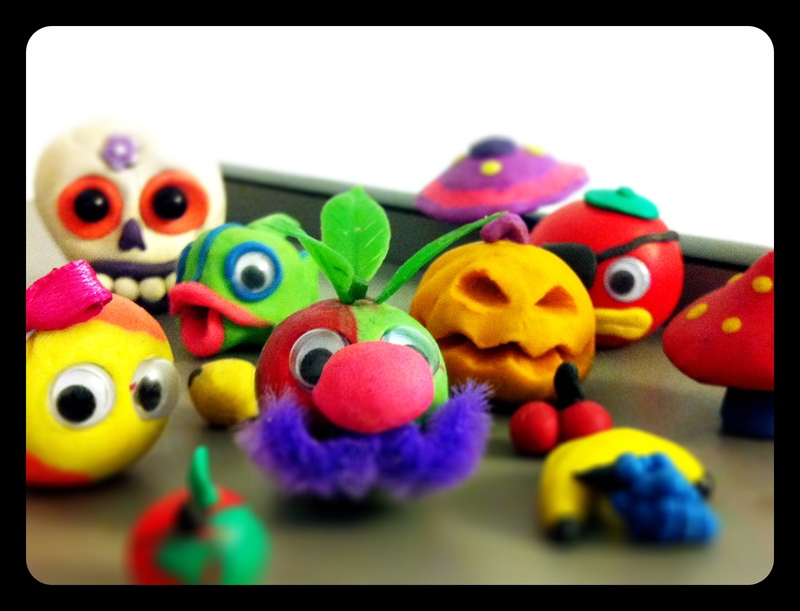 Here’s a photo of the cast of frutorious! We took these photos of the plasticine models a few weeks ago; it’s not a complete cast as there’s been some new additions since but here’s some of the central chappies. They look like a funny bunch all assembled here. Unfortunately, the Mr. Fruts you see in this picture here is not the Mr. Fruts in the game. It is not possible to say no fruts were harmed in the making of Frutorious.